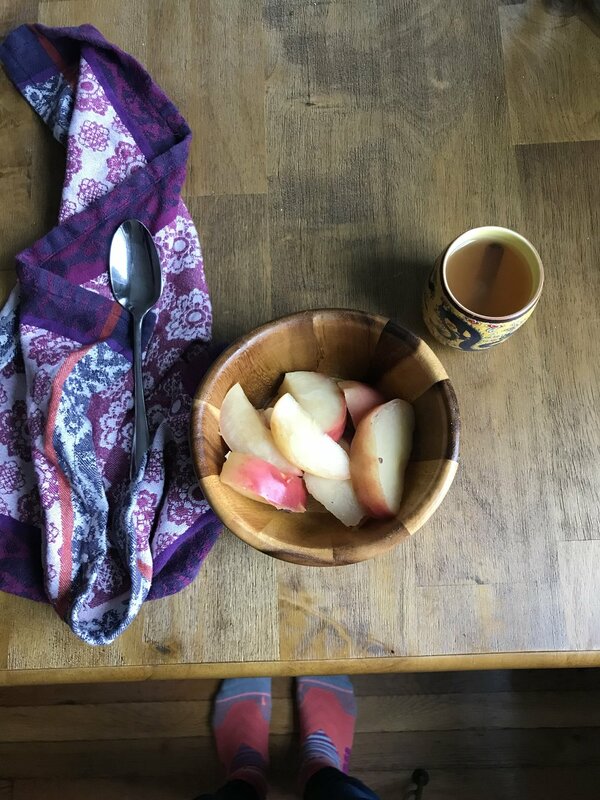 The classics recommend doing yoga on an empty stomach, but if you need something very light and digestible before class, or before any morning workout, this is a super fast Ayurvedic recipe to elevate your apple-a-day. In a small saucepan, bring water and spices to boil. Add apple, lower heat and simmer, covered, for 5 minutes. Pour apple cooking liquid into a teacup to sip “spiced cider tea” on the side. Cozy things all day everyday. Cooking fruit is great for balancing the cold, crispness of vata season, or for people with a delicate vata digestion. Sweet fruits cool and take the edge off pitta people. The warm, light quality of this dish won’t weigh down kapha. This delicious no waste water idea is from Divya Alter’s cookbook What to Eat for How you Feel.